Co-ops are back this Fall! Join us Sunday, September 30th as we wrap up Vision Month together with Co-op Sunday: A Taste of Co-op. We'll be casting vision for the brand new co-op season, introducing our co-op leaders for the year, and giving you an opportunity to find a co-op near you. 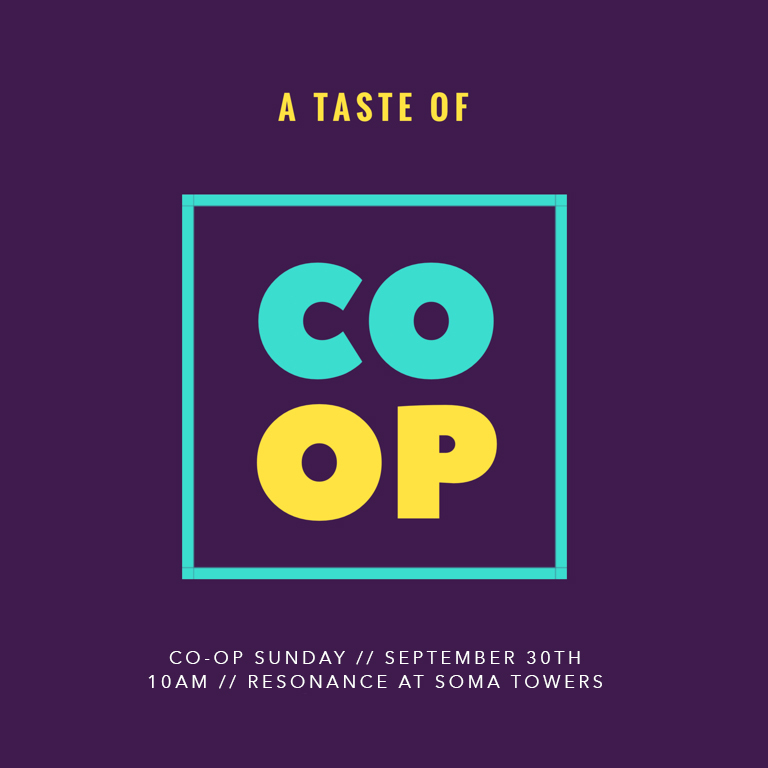 Co-op Sunday will be taking place at Resonance at SOMA Towers starting at 10am. We can't wait to give you a taste (literally) of what's to come! Interested in being a co-op leader? Do you love creating community and have a heart to reach your friends, neighbors, family members, or colleagues? We're looking for new co-op leaders for this upcoming co-op season, and would love to talk with you about starting a co-op near you! Email us at connect@marketplace.church and let's chat!